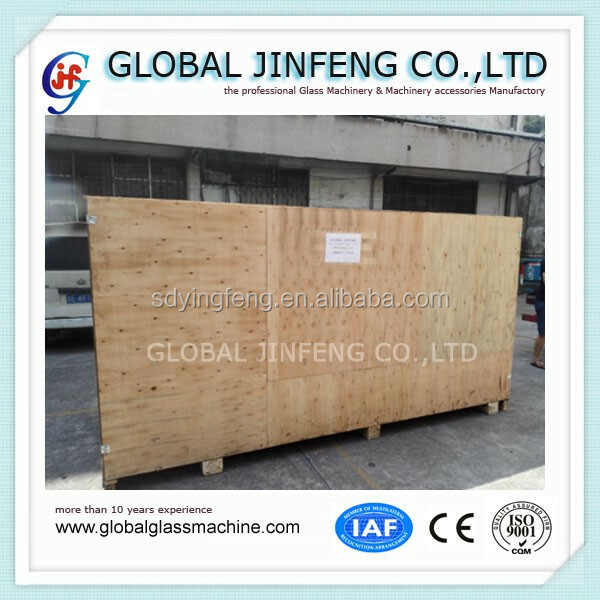 Fumigated wooden box packaging, meet export standards. Suitable for sea transportation. 1.Installing stainless steel sump tank and high-pressure water spray in the feeding end which could make roller clean by itself and improve cleaning impact. 2.Using gear wheel to transmit,variable frequency speed control,digital display,easy operation and beneficial for connecting production line. 5.Using two pairs of professionally designed air knives with strong wind force and better impact. 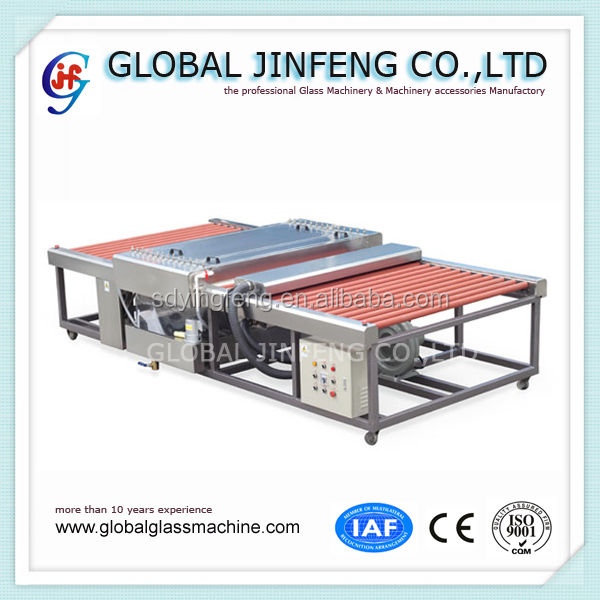 Global Jinfeng glass machine company is specialized in glass machine and accessory for more than 10 years.Our products enjoy a good reputation both at home and abroad. 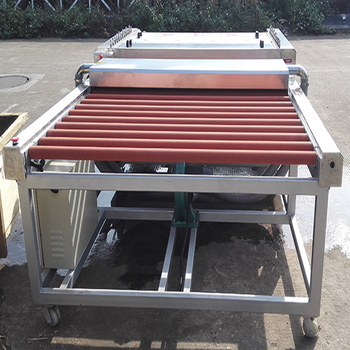 Glass washing machine is our main product and enjoy a good reputation both at home and abroad.